The Sunset Islands of Miami Beach consist of four islands that feature lots of water and beautiful waterfront views. Many of these island homes offer unobstructed bay vistas and gorgeous South Florida sunset views. Most of the waterfront lots on Islands I and II (the 2 northern islands) are at least 20,000 sq. ft. with a minimum of 100 feet of water frontage. 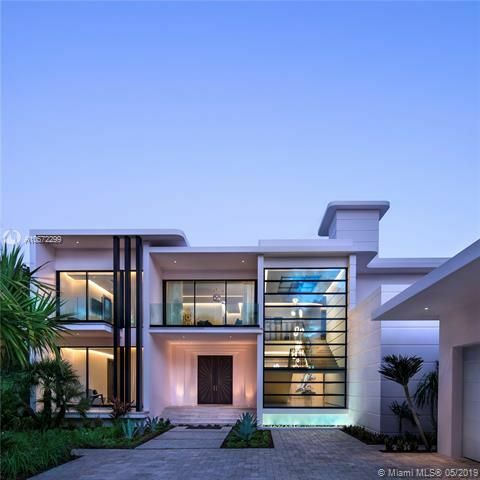 These are very large lots when looking at Miami Beach real estate. The largest and more expansive homes on the 4 islands are often located on Sunset Islands I and II. Each of the four islands offer homes ranging from Old World appeal and Mediterranean classics to Modern Sophistication and Avant-garde, all with their own unique allure, features and luxury amenities. The two southernmost islands of the four islands, are Sunset III and IV. Like Sunset Islands I and II, magnificent sunsets can be enjoyed from many of these Sunset Island homes. These two southern most islands are a bit closer to Miami Beach's pulse. Yet, all of The Sunset Islands are in close proximity to all that Miami Beach and South Florida offers. As a Sunset Island resident, you're part of an exclusive haven surrounded by the fun and excitement that is the heart and soul of Miami Beach and South Florida. You're just minutes away from Miami Beach's famous beaches, Art Deco district and world-renowned South Beach hot spots on Lincoln Road, Ocean Drive, Collins Avenue and Washington Avenue. Bal Harbour, Aventura and Fort Lauderdale are also just a short drive away.